Also serving communities of Newport. There are 3 Assisted Living Facilities in the Morehead City area, with 2 in Morehead City and 1 nearby. The average cost of assisted living in Morehead City is $4,122 per month. This is higher than the national median of $3,346. Cheaper nearby regions include New Bern with an average starting cost of $2,705. To help you with your search, browse the 6 reviews below for assisted living facilities in Morehead City. On average, consumers rate assisted living in Morehead City 4.0 out of 5 stars. Better rated regions include New Bern with an average rating of 4.2 out of 5 stars. Caring.com has helped thousands of families find high-quality senior care. To speak with one of our Family Advisors about assisted living options and costs in Morehead City, call (855) 863-8283. Morehead City, North Carolina, is considered the gem of the Crystal Coast in North Carolina and is the largest town in Carteret County. It also has a sizeable senior population — of the town's 9,303 residents, approximately 21.1 percent are 65 or over, which is about 1,962 seniors. To accommodate residents who may benefit from assisted living services, there are three assisted living facilities in the area, with two located in Morehead City and one in nearby Newport. 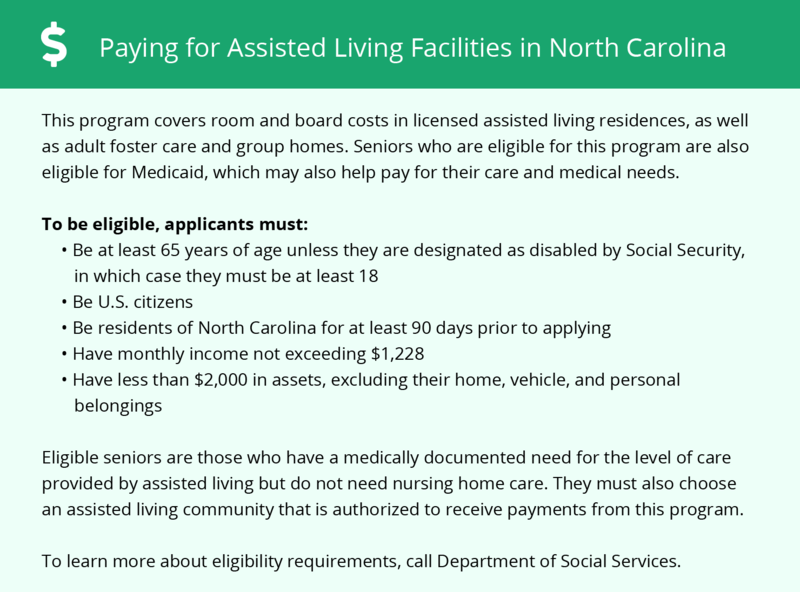 The state of North Carolina officially refers to assisted living facilities as Assisted Living Residences (ALRs), and the North Carolina Division of Health Service Regulation is tasked with their oversight. The climate in Morehead City is very pleasant and comfortable throughout the year, which seniors can appreciate. On Sperling's comfort index, which takes into account the number of days each year that reach between 70-80 degrees, Morehead City receives a high score of 79 out of 100, making it one of the most comfortable climates in the country. The cost of living in Morehead City is quite affordable — on a cost of living index that takes such factors as utilities, food costs and housing prices into account, Morehead City scores an average of 97.8, about on par with the state average of 96. Both of these figures are below the national average of 100. One drawback to Morehead City is the high property crime rates, so seniors considering living here may want to inquire about added security measures. Violent crime is relatively low and falls at 28 on a crime index of 1 (low crime) to 100 (high crime). This is near the state average of 21.4. Property crime rates are 66.2, much higher than the state average of 37.7. Taxes in North Carolina are relatively moderate for seniors. Property taxes are low and the sales tax rate of 4.75 percent is about average nationally. Retirement income is taxed in North Carolina at 5.499 percent, and this includes pension funds, IRAs and 401k accounts. Social Security income is not taxed. The Morehead City area is home to world-class medical facilities, including Carteret Health Care, in the event of medical emergencies or illness. The Carteret County Area Transportation System provides public transportation for all residents of Carteret County, including seniors. They participate in many programs for seniors, including regularly scheduled trips to the Leon Mann Center. Assisted Living costs in Morehead City start around $4,122 per month on average, while the nationwide average cost of assisted living is $4,000 per month, according to the latest figures from Genworth’s Cost of Care Survey. It’s important to note that assisted living rates in Morehead City and the surrounding suburbs can vary widely based on factors such as location, the level of care needed, apartment size and the types of amenities offered at each community. 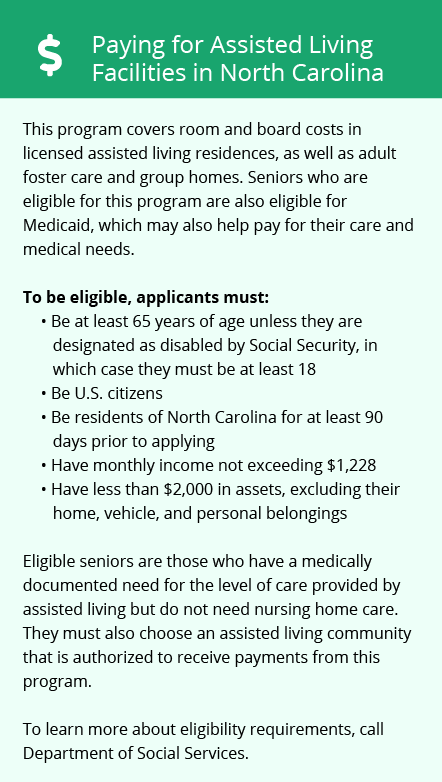 For eligible North Carolina residents in ALRs, the North Carolina Medicaid State Plan pays for services. Morehead City and the surrounding area are home to numerous government agencies and non-profit organizations offering help for seniors searching for or currently residing in an assisted living community. These organizations can also provide assistance in a number of other eldercare services such as geriatric care management, elder law advice, estate planning, finding home care and health and wellness programs. To see a list of free assisted living resources in Morehead City, please visit our Assisted Living in North Carolina page. Morehead City-area assisted living communities must adhere to the comprehensive set of state laws and regulations that all assisted living communities in North Carolina are required to follow. Visit our Assisted Living in North Carolina page for more information about these laws.